﻿ CLEVELAND KING JR. OUR NEXT INDUCTEE IS A NATIVE OF GEORGIA BUT AS A CHILD MOVED WITH HIS FAMILY TO THE STATE OF OHIO WHERE HE LIVED FOR MUCH OF HIS LIFE…. AND NOW, WE’RE PROUD TO SAY, IS A RESIDENT OF ALABAMA. 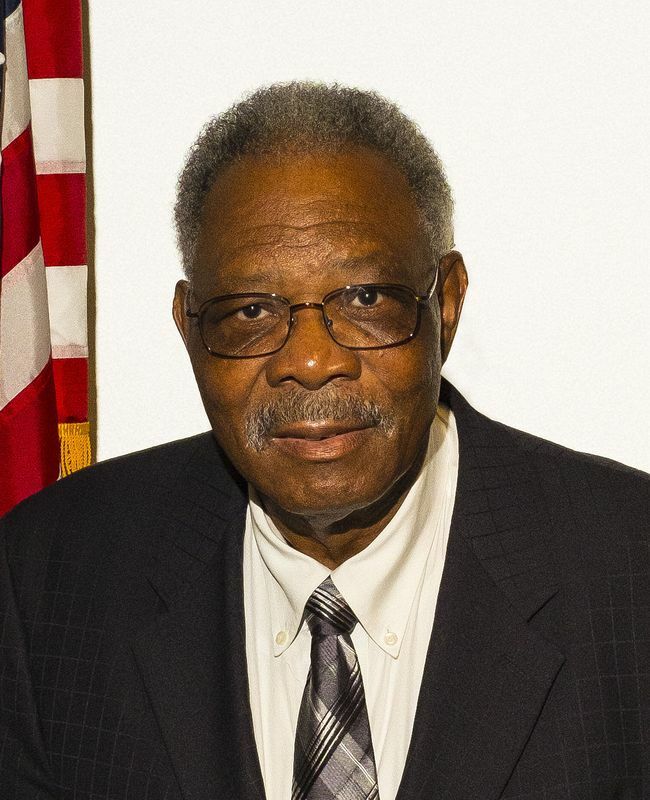 CLEVELAND KING JR. IS A MARINE CORPS VETERAN AND THE RECIPIENT OF THE SILVER STAR FOR HIS BRAVERY DURING A BATTLE IN THE REPUBLIC OF VIETNAM IN 1969. CPL. KING, A RADIO OPERATOR, WAS ALSO WOUNDED DURING THE CONFLICT. CLEVELAND WAS SERVING WITH COMPANY C, FIRST BATTALION, FOURTH MARINES, THIRD MARINE DIVISION IN COMBAT OPERATIONS NEAR KHE SANH ON MARCH 1ST OF 1969. COMPANY C WAS HEAVILY ENGAGED AND OUTNUMBERED BY THE ENEMY WHEN BOTH HIS PLATOON COMMANDER AND PLATOON SERGEANT WERE WOUNDED…. WITHOUT HESITATION CPL. KING ASSUMED COMMAND OF THE PLATOON AND DIRECTED HIS MEN TOWARD THEIR HILLTOP OBJECTIVE THAT WAS BADLY NEEDED AS A LANDING ZONE TO AIRLIFT MARINE CASUALTIES. DURING THE ASSAULT ON THE ENEMY HELD HILL, CPL. KING REPEATEDLY EXPOSED HIMSELF TO HOSTILE FIRE AS HE MOVED AMONG HIS MEN, SHOUTING WORDS OF ENCOURAGEMENT. AFTER THE AREA WAS SECURED AND THE MEDICAL EVACUATION HELICOPTERS WERE APPROACHING…. CPL. KING RUSHED OUT ONTO THE OPEN LANDING ZONE AND RELEASED A SMOKE GRENADE TO MARK THE AREA…. AS HE DID SO, AN ENEMY MORTAR ROUND LANDED NEARBY…. KNOCKING HIM TO THE GROUND FOR WHICH HE SUFFERED A WOUND TO ONE OF HANDS. UNDAUNTED, HE RECOVERED QUICKLY AND DIRECTED THE PILOT BY RADIO UNTIL HE LANDED SAFELY…. CPL. KING ALSO ASSISTED WITH A SECOND EVACUATION HELICOPTER, AGAIN EXPOSING HIMSELF TO HOSTILE FIRE. FOR HIS BRAVE AND GALLANT ACTION ON THAT DAY CPL. KING WAS AWARDED THE SILVER STAR. LADIES AND GENTLEMEN, IT IS MY PLEASURE TO INTRODUCE CLEVELAND KING JR. *************************************** CLEVELAND AND HIS WIFE, LIBBY ANN, HAVE LIVED IN HUNTSVILLE NOW FOR FOUR YEARS… I WANT TO MENTION THAT CLEVELAND KNEW HE HAD BEEN RECOMMENDED FOR A VALOR AWARD AFTER LEAVING VIETNAM BUT IT TOOK 43 YEARS, AND THE MOVE TO HSV, TO FINALLY RECEIVE HIS VALOR AWARDS…. SOME ALERT LOCAL VETERANS, WITH THE HELP OF REDSTONE ARSENAL, DID THEIR HOMEWORK AND FOUND OUT CLEVELAND WAS INDEED DUE THE MILITARY HONORS AND THEY MADE IT HAPPEN. CLEVELAND IS ALSO THE RECIPIENT OF THE BRONZE STAR WITH VALOR AND THREE PURPLE HEARTS.